Gorgeous 2-story in walk-able Regent neighborhood. 3 bedroom, 2 full bath with stunning remodeled kitchen boasting hickory cabinetry, stainless steel appliances, granite counters and breakfast bar. Rare Regent amenities including expanded cook's kitchen and large master bedroom with walk-in closet. 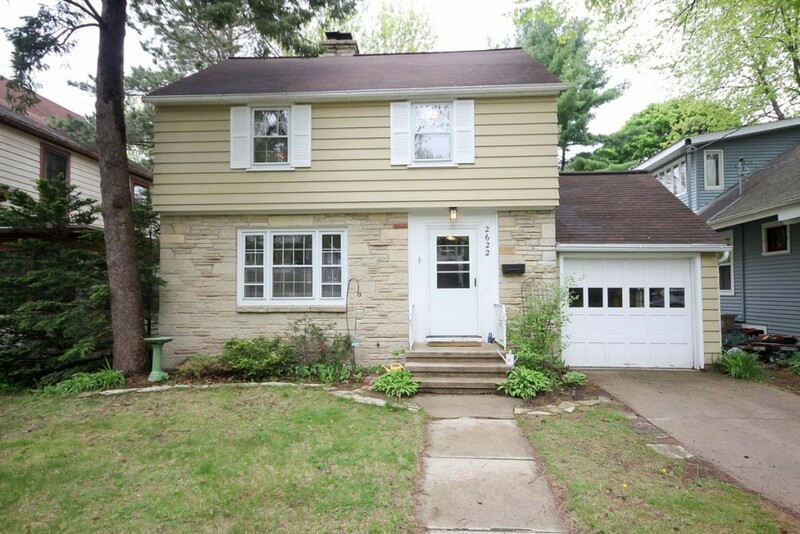 First floor features gas fireplace w/ stone surround, convenient 3/4 bath, smart entry, and beautiful hardwoods. Large yard and deck for entertaining. New roof, H20 heater, furnace. Current price and more photos of 2622 Mason St. The Regent neighborhood is bordered on the north and east by the University of Wisconsin campus, and within a mile of Lake Mendota. The eastern end of the neighborhood is anchored by the University of Wisconsin's Camp Randall football stadium and Fieldhouse. School District Information for 2622 Mason St.